Our commercial building site toilets can be provided on a long-term hire, such as a building site, self-build project or in the fields for agricultural workers. Available with HSE compliant sinks. Discounted rates available for long-term hire and multiple sites. Available with toilet in same unit. 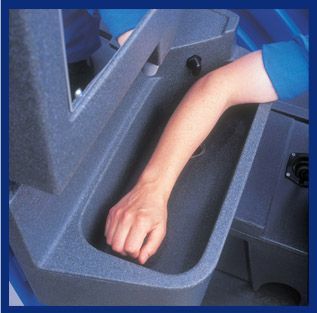 Hot water with HSE compliant forearm sink. Need connection to mains or generator. China toilet in a shell of a portable toilet. For larger sites where connection to mains drainage in available. Eliminates the need for a weekly service. For increased mobility of building site toilets, especially for farmers/growers to move toilets between fields during harvesting or planting to comply with regulations. Carries 1 or 2 portable toilets. Easily towed with a 4x4 vehicle. Toilet can stay on trailer for use. Cabin type unit: 2 toilets and 1 urinal. Can be connected to mains drainage or hired with tank underneath. Requires water and power supply. To book one of South West Loos building site toilets, please call us on 01736 763338 for free, or fill in the form on our Contact Us page and one of our staff will respond to your enquiry as soon as possible.